Originally posted at https://whatiscommoncore.wordpress.com/2016/09/15/common-cores-role-in-hot-state-school-board-race/. Posted with permission. The State School Board race has never drawn much attention before. But this year, the Salt Lake Tribune reported, businesses and even top-tier elected officials are personally campaigning and fundraising for and against certain candidates. Yesterday’s headline was: “Niederhauser and Hughes ask Business Leaders to Help Defeat UEA-Backed School Board Candidates“. Yesterday, too, business organizations such as the Utah Technology Council and the School Improvement Association joined Niederhauser and Hughes in a fundraising webinar that promoted a slate of pro-Common Core candidates who happen to be not favored by or funded by national teacher’s unions. 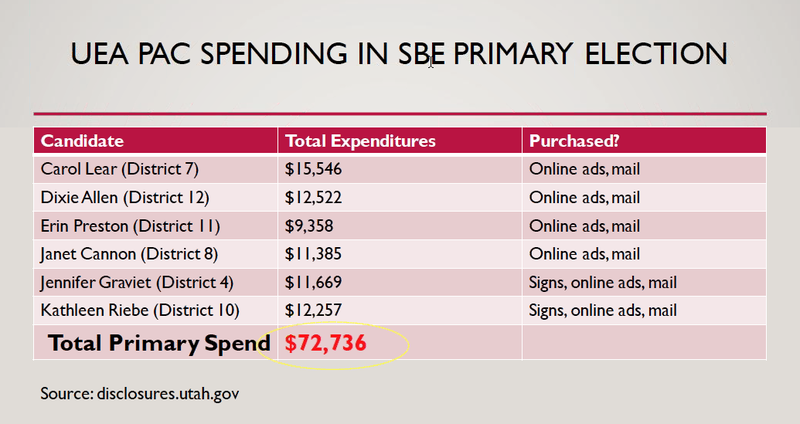 I understand why someone with a conscience would campaign against out-of-state big UEA-NEA money buying Utah’s state board election. So they should. Nor do I understand why our House Speaker and Senate President don’t see the hypocrisy in speaking against big money buying votes (NEA) while both of them are personally funded by big business money (Education First). But my bigger questions are: how do the Speaker and the Senate President dare to campaign for Common Core candidates, thus going directly against Governor Herbert’s call to end Common Core alignment in Utah? How do they dare campaign against the resolution of their own Utah Republican Party that called for the repeal of the Common Core Initiative? Have they forgotten the reasons that their party is strongly opposed to all that the Common Core Initiative entails? Have they forgotten Governor Herbert’s letter that called for an end to Common Core and SAGE testing just four months ago? (See letter here.) For all the talk about wanting to move toward local control and to move against the status quo, this seems odd. Next to the governorship, there aren’t more powerful offices in the state than those held by House Speaker Hughes and Senate President Niederhauser. So what does this powerful endorsement of a certain slate of candidates signify? 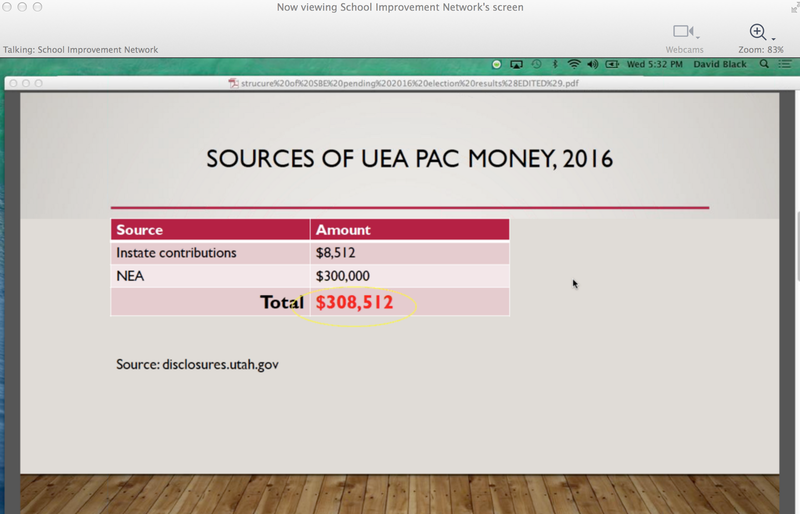 First, it signifies what is probably a sincere concern for (partial) local control: In the fundraising webinar held yesterday (by Hughes, Niederhauser, the School Improvement Network and the Utah Technology Council) the following slide was displayed: Out of $308,512 raised for the political action of the Utah UEA (teacher’s union) $300,000 of it came from out of state. Hughes and Niederhauser are right in being alarmed at that money’s probable effect on local control. Secondly, it signifies Utah leadership’s alignment with Obama’s vision for education, which among other things mandates sidelining certain subjects in favor of others. Niederhauser told the Tribune that he didn’t want any board member’s vision to “dominate the board” which, to him, meant to “supplant business and technology representatives.” So he wants to make sure that business and technology is at least as dominant as any other interest. The School Improvement Network is of the same opinion. We could ask why. Why, specifically, would legislators be endorsing the fields of business and technology over the fields of languages, medicine, history, social work, the arts or any other thing? And where’s the idealogical division between what NEA wants and what Niederhauser-Hughes want? Is it fair to speculate that NEA corporate funders are in competition against the Education First corporate funders, and all of this is just an economic struggle pretending to be a struggle for the children’s best interests? Utah tax dollars are, after all, the passionate pursuit of multiple players in the now $2 Billion per year ed tech sales industry. Many people know that both Hughes and Niederhauser’s political campaigns are heavily funded by Education First, a Utah political action committee for Prosperity 2020 that puts businesses first. Not voters first. 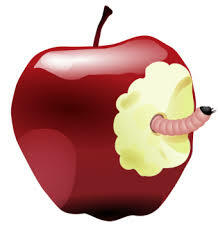 Not education –broadly– first; this is education as defined by the ed-tech sales industry and by Obama’s 2020 vision. Read it in their own words. In an Tribune op-ed taking credit for passing legislation that Education First had lobbied for, you’ll see little focus on funding for paper and pens, school basketballs, violins, gluesticks, old-fashioned books, or heaven forbid, large teachers’ salaries– no, ed funding to Education First means to fund the priorities that precisely (coincidentally?) match Obama’s 2020 vision: early childhood education (which competes with free enterprise/private preschools), workforce development (China-styled central planning) “community schools” (Obama’s vision to integrate healthcare with academics and with socio-political movements “using government schools as a hub”) and standardized personalized learning (an oxymoron that cements Common Core academics and its data tags). Don’t mistake this as a fight between tech lovers and tech haters. None of the candidates for state school board are anti-technology, though the smart ones are pushing for improved laws governing student privacy in this modern age. So what are Hughes and Niederhauser really saying when they say they’re for the pro-tech candidates? What does that really mean? That Utahns should sit back and let the ed tech sales industry, or businesses, sit in the driver’s seat for educational decision-making? That’s the stated aim of Education First (in Utah) and of Obama’s 2020 (nationally) and, according to his Tribune quote above, it’s also the aim of President Niederhauser. Education First doggedly, directly, lobbies citizens, governments, and school districts, to strong-arm their narrow vision, that businesses should “help” direct education. They refer to my child and yours as the economy’s. They call children “human capital” on their website. This is, when ripe, the 1992 Hillary-Tucker dream coming true, with the collective economy dictating to the individual on the assembly line. Education First wants a high “concentration of science and engineering occupations” in Utah, which you may or may not agree with; what I hope you do agree with is that this new, business – public ed partnershipping governance system, with business being handed power to influence schooling, when taken to the extreme, is fascism. In fascism, there’s no distinction between government and business. And the voter has no say. Do we want to walk down that slippery slope? Do we want the Education First business community to be given power in schools? Whether promoting science and engineering at the expense of other subject and careers is the will of the people, or not, really doesn’t come in to the discussion. Prosperity 2020 has said that businesses will “provide a business oriented plan to improve results” for schools. 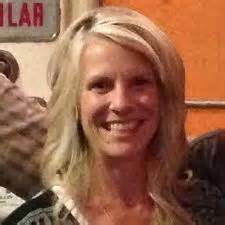 If Hughes or Niederhauser would respond to my emails to them, I would ask them this: how is it any more helpful toward Constitutional local control– if that is what you really want– to let businesses take over the driver’s seat for educators, as your financial backers aim to do, than for out of state (NEA) funding to call the same shots? Either way, students and schools and voters lose personal freedoms to self-appointed experts who think they know best. So when Niederhauser worries that “big money groups effectively buy the election,” he is right. The hundreds of thousands of dollars pouring in to NEA-UEA approved candidates’ purses should raise eyebrows. But shouldn’t the same eyebrows rise too, seeing in-state big money groups like Education First and Prosperity 2020 now, as in the past, funding the pro-Common Core candidates –and funding Hughes and Niederhauser themselves– effectively buying the election in the very same way? 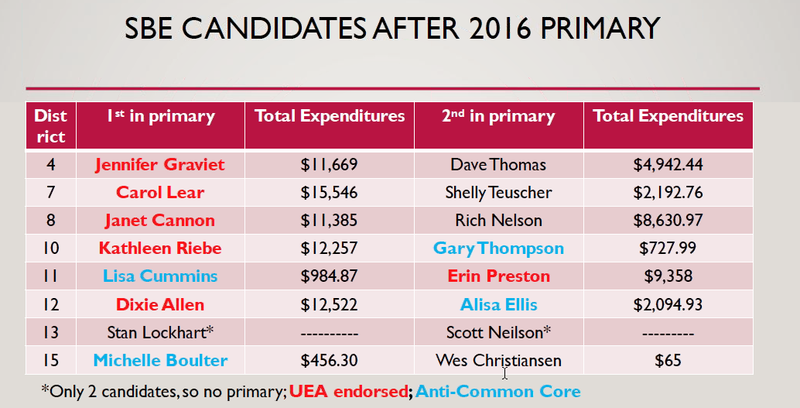 Meanwhile, none of the liberty-first, anti-Common Core candidates, Alisa Ellis, Lisa Cummins, Michelle Boulter or Dr. Gary Thompson, are richly funded. All they really have to stand on is true principles of liberty –and word of mouth. Many voters know that Common Core is anti-local control. The Governor almost lost in the primary to anti-Common Core challenger Jonathan Johnson because of this. The Governor was repeatedly booed at political conventions this year because he had been such a promoter of the Common Core, prior to his turnaround. 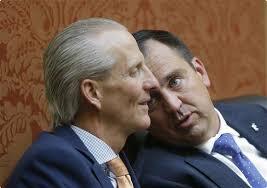 What will the governor say about Niederhauser’s and Hughes’ current effort? More importantly, what will voters say? 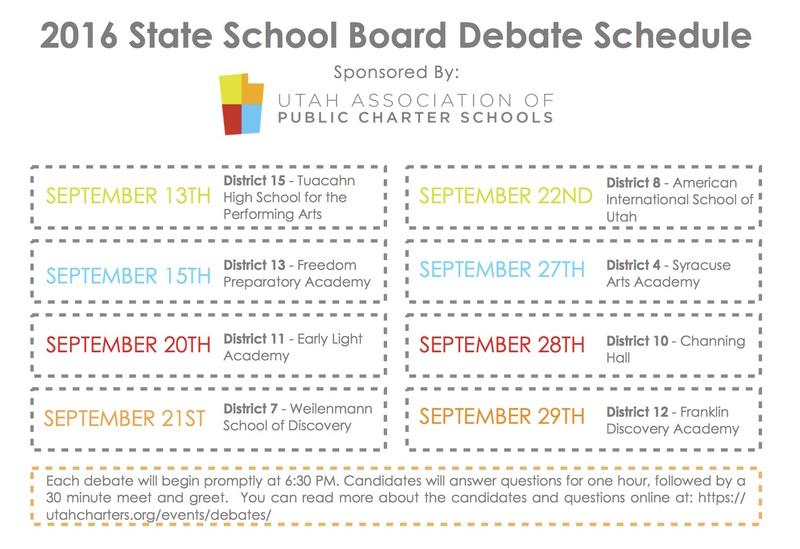 For anyone wanting to watch the debates between state school board candidates, please check that schedule here. Alisa Ellis, Michelle Boulter, Lisa Cummins, Dr. Gary Thompson. Dr. Thompson was furious that the Final Rule of NCLB, which takes effect September 15, 2015, forces special education students to take the same tests and to use the same curriculum that all other students take, based on cited research studies of the U.S. Dept. of Education –studies that are ludicrously far from being valid. (More on that, below.) He was even more infuriated when he discovered that the research studies were unapplicable, or fake. In a follow-up post to the “Primum Non Nocere” analysis, Dr. Thompson made all of this fake research much easier to wrap our brains around with this analogy: Imagine that a parent takes a very sick child to the doctor’s office and the doctor prescribes eating “Froot Loops” three times each day while watching SouthPark episodes. The doctor cites research to support this course of action, taken from the journal of gynecology, and expects the parent to comply. 1. All learning-disabled students can become grade level scholars with no differentiated learning– they just need great teaching and great supports. 2. The new testing (Common Core/SAGE) is valid for ALL students with ALL learning disabilities. 3. These new tests are so good that we don’t need alternative or modified tests. 4. The ONLY thing reading and math disabled students need, to become grade level scholars, are good teachers. 5. These new tests are so perfect that they were designed specifically to perfectly measure academic achievement in ALL learning-disabled children. 6. States and ground-level teachers have denied proper instruction for divergent-learning students; therefore, we no longer need individual states to make special tests, because now special education students will be saved by the new Common Core Standards. In “Primum Non Nocere,” Dr. Thompson read through each of these USDOE decrees, went to the cited research journal itself, and dug around. He pointed out that in every case, the research was either directly paid for by the USDOE and its partners, or it did not qualify as research because it had never been peer reviewed, or it tested one age or ability grouping of children but applied the findings to a different age or ability grouping; or the decree/claim was not even linked to any research study whatsoever. Below are just three sample highlights from Dr. Thompson’s “Primum Non Nocere” that stood out as I read the 44-page analysis. I hope this seems important enough to study more closely and to share with your senators and representatives; Dr. Thompson is calling for a Congressional hearing on this, the US Department of Education’s obviously false use of research, which it used to fraudulently justify taking away local authority over our special education children. I hope that our nation is not so numb to morality that we no longer care to prosecute deceit and fraud– especially even when it concerns innocent, disabled children. To support the Department’s decree, that special education students don’t need special education, it cited a 2010 research journal article: “Do Special Education Interventions Improve Learning of Secondary Content? 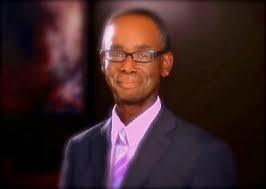 A MetaAnalysis.” Dr. Thompson went to that research journal. Guess what he found there? That research didn’t include kindergarteners through fifth graders– no elementary school aged children were studied! Most of the students were in eighth grade. –Yet the Department is applying their conclusion to all students. The “study” was paid for by the US Department of Education. Math and reading weren’t included. The studies used science, social studies, and English; and, only 10% of those studies actually reported on English at all. –Yet the Department includes math and reading in its approved Common tests, to be applied to all, now including special education students. Most of the students included in the meta-analysis were of average I.Q. Yet the Department is applying their conclusion to special education. Virtually none of the students were behaviorally or emotionally disturbed (only 4%) Yet the Department is applying their conclusion to special education students who are behaviorally or emotionally disturbed. It was not an original research study. It was a holistic, literary study of other studies. Demographics were lacking, so nobody knows how these studies impact children who come from groups who historically test very poorly. To support the Department of Education’s decree that special education students will benefit from taking Common Core/SAGE tests, it claimed that “new assessments have been designed to facilitate the valid, reliable, and fair assessment of most students, including students with disabilities who previously took an alternate assessment”. Guess what Dr. Thompson found? There was no research study cited. There was no evidence given. The claim that these new tests have been designed to be fair and valid and reliable for special education students, is utterly baseless. Not one of the Common Core testing consortia, funded by grants from the U.S. Department of Education the Bill and Melinda Gates Foundation (such as SBAC, PARCC, and AIR which designs Utah’s SAGE test) have published independently reviewed validity data on special education students (or any students for that matter). To support the Department’s decree that “alternate assessments based on modified academic achievement standards are no longer needed,” the Department cited a study that (surprise) was also paid for by the US Department of Education– in partnership with the CCSSO, the group that co-created Common Core. This study was never peer-reviewed, and thus qualifies as propaganda rather than real scientific research. Other studies, that were also used as references by the USDOE, openly urged “caution in interpretation of our findings given the small number of participants,” and warned: “no instructional method, even those validated using randomized control studies, works for all students” — serious cautions that the USDOE clearly did not heed. 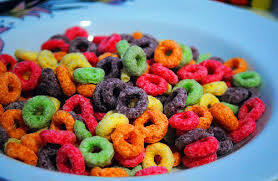 If the U.S. Department of Education’s force feeding of “Fruit Loops”to our public school children (especially with our vulnerable divergent learning and minority children & teens, all justified via the use of “gynecology” research,) does not justify an immediate Congressional Hearing, I honestly don’t know what the hell else would justify that action. My four, soon to be five children, are more important, and deserve more attention, than Benghazi, or Hillary Clinton’s alleged misuse of government email servers. I urge you to read all of the findings of USDOE fraudulent use of citations, as discovered in “rimum Non Nocere“. These were only three highlights of many sobering points. Glass laments the false belief of politicians who are convinced by articulate, monied lobbyists to buy, and then act on, the idea “that testing must be the cornerstone of any education policy”. The results? “Parents see the stress placed on their children and report them sick on test day. Educators, under pressure they see as illegitimate, break the rules imposed on them by governments. Many teachers put their best judgment and best lessons aside… And too many of the best teachers exit the profession.” A result Glass did not mention, but which is also notable, is that some politicians are beginning to be swayed by the idea of stealth testing. 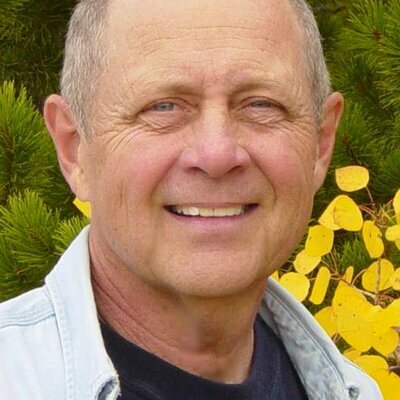 The resignation from the field of psychometrics by Dr. Glass came to my attention because of Utah-based child psychologist Dr. Gary Thompson, who published the article with the following warning directed at Utahns who are complicit in the use of Utah’s nonconsensual student data mining web. We can’t paint a meta data picture of creations we still know so little of. The arrogance of the “career and college ready crowd” along these lines, is astounding to me both as a father, and as a doctoral level local clinical community scientist. Apparently the scientist, who I studied in graduate school…and who pioneered the process of mass educational meta data analysis, feels the same way that I do. To lift the academic, emotional, and spiritual foundation of a child for the sake of the joy of enrichment. Assessments, as well as the associated meta-data generated by our current Common Core-based educational system, will never be able to be used as a valid measure of teachers, schools, or as a tool to achieve the mythical political term of “career & college ready”….or to support the political desires of our current Governor and Utah’s Chamber of Commerce. Parents are, and must always be the resident experts of their own children. The testing/data pseudo-science spewing from the lips of the educational/political bureaucracy, can’t change this very law of nature and the universe. Pray that our politicians and superintendents are interested enough, and honest enough, to see through the Department of Ed, and kick to the curb its lies and false reassignments of authority that hurt our children and our Constitutional power. 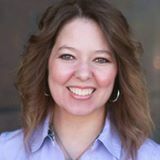 Jakell Sullivan, a beautiful Utah mom who happens to be one of the most dedicated researchers on education reform and data privacy breaches that I know, has pointed out that this week, U.S. Secretary of Education Duncan posted a “final rule” on the No Child Left Behind reauthorization. 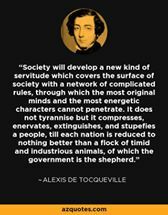 The final rule will move us from the “phasing out” phase to the “no more state authority at all” phase of the federalization of state education. The “final rule” may not appear, on the surface, to affect you if you don’t have a physically or mentally handicapped child. But think twice. Because in the new, upside down, 2+2=5 world of Common Core, normal children who either don’t do their best on, or don’t score high on Common Core tests, are now considered abnormal (disadvantaged). And I imagine that in the future, even children who opt out of testing may be labeled as disadvantaged by failing to achieve high scores on these tests. Because so many children showed awful performance on the rammed-down-our-throats, ready or not, Common Core assessments, many children are labeled as low scorers, or as “special needs”. But for those children who actually are “special needs” and did not take the test, because there was an alternate test, those happy days are over. The Dept. of Ed mandates that now, everyone– even handicapped people, take the same test. No mercy, no wiggle room, no local judgment by caring professionals or parents. Less than a year ago, Secretary Duncan told us he was aiming to “phase out state authority” over these special needs assessments. At that time, we still had time to fight this. 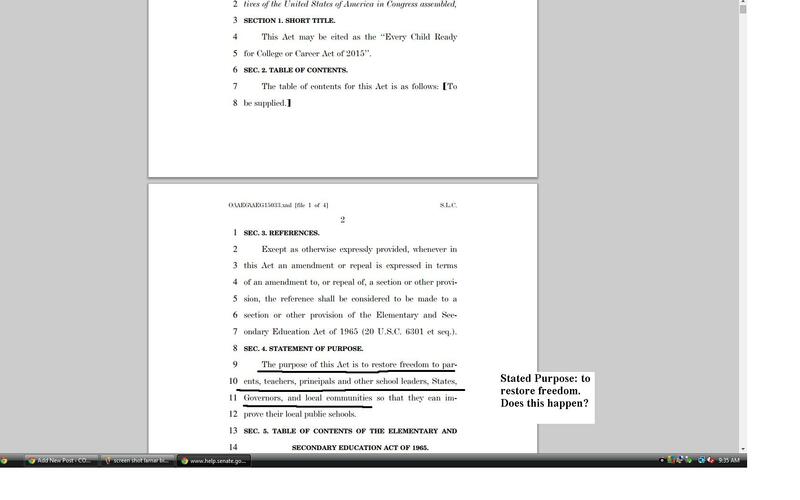 At that time, there was still a chance that Congress would refuse to reauthorize No Child Left Behind (aka ESEA). Now, children have been taking (and generally bombing) Common Core tests. And Congress gave Duncan the power he craved when it passed ESEA and other education bills that shouldn’t have passed, this summer. Another Utah mom, Morgan Olsen, speaking to the fact that these electronic assessments are a main source of psychological and academic data mining about individual students, said: “I find this particularly concerning because all data collected by schools is legally classified as education data and doesn’t have the same protections as health data collected by a private doctor. And because the USOE discussed using the State Data System to collect and store this type of information in its guidance counselor’s guide a few years back.” (Links added). Utah, we need to stop holding hands with the Department of Education and recognize it as an enemy: to autonomy, to parental control, to teacher judgment, to the U.S. Constitution’s protections, to individual privacy, and to true education. Please, if you are reading this, call someone. Write something. Email or tweet or get an appointment with your Governor or your State Superintendent. Sometimes we “Nice” people must shake off our Hobbit-like niceness to detect and expose real and dangerous lies, worrying less about whether we may be perceived as “Nice” and more about how fast the power to direct the lives of our own children is being robbed by the thieves and enemies of Constitutional freedom. I am standing here, calling out the U.S. Department of Education as a granddaddy of lies and unconstitutional actions. That they are lies is indisputable. Check the links. Read your U.S. Constitution. –That Duncan, making a state-and-school-authority-robbing “final rule,” is a constitutionally legitimate act, in harmony with common sense and parental/voter will. These are a few lies. There are more. 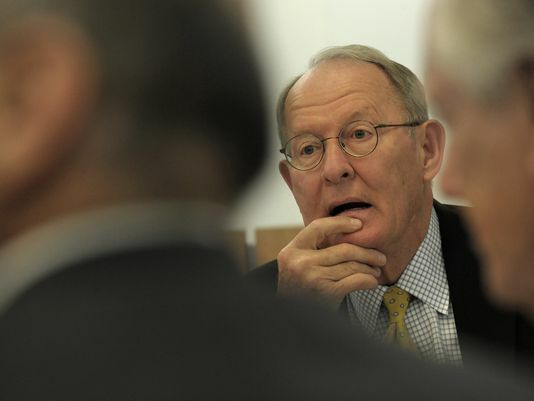 Senator “Let’s-Don’t-Talk-About-Common-Core” LaMar Alexander has proposed a bill to amend ESEA (No Child Left Behind Act) in order “to restore freedom”. The bill is called the “Every Child Ready for College or Career Act of 2015“. I read the 387-pager after I learned that education experts, slated to testify against the bill, had abruptly been dismissed and were told that the bill had been “fast-tracked,” so there wouldn’t be time for them to speak. –No time to hear testimony and debate about a historic, child-impacting bill? Fact 1. 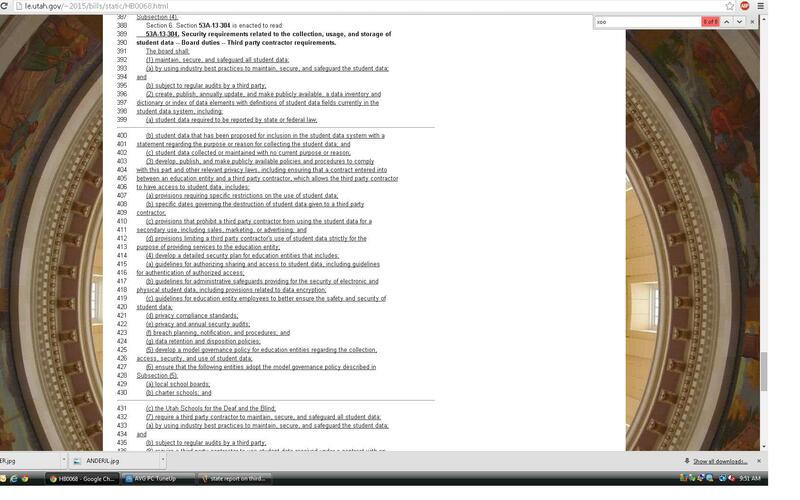 There’s a de facto federal database composed of fifty individual databases with interoperable State Longitudinal Database Systems. These feed on the federal school testing/data collecting system, and feed different federal databases and their powerful branches. This clearly violates “consent of the governed” because nobody can opt out. QUESTION 1: Would LaMar’s bill restore “consent of the governed” to education and to student data mining? Fact 2. There’s a federal testing system comprised of Common Core aligned, synchronized testing partnerships: PARCC, SBAC, and AIR. This violates Constitutional separation of powers since the federal government has no business in state-directed educational affairs such as testing. QUESTION 2: Would LaMar’s bill restore separation of powers and deny federal supervision of school tests? Fact 3. There’s a corporate cartel of educational technology and text sellers (Pearson Inc, partnered with Gates/Microsoft, etc) advising the federal testing system. This violates the Constitutional principle of agency; individuals and states are coerced to use certain corporations’ products with federal approval. QUESTION 3: Would LaMar’s bill restore a diverse exchange of academic ideas to the American textbook and technology market? Fact 4. The corporate cartel finances the private groups that created and copyrighted the common education and the common data tags programs. Federal approval of such financing and implementation is clear by the official partnering of the U.S. Dept. of Education with the private creator-copyrighter groups. That violates consent of the governed, too. QUESTION 4: Would LaMar’s bill create fairness and freedom for non-Common Core aligned education providers? Fact 5. Because Common Core standards are copyrighted, states (voters, teachers, you and I) don’t get to vote on them. There’s no amendment process for any state to alter Common Core Standards nor the Common Education Data System (CEDS). Federal promotion and partnershipping with those who copyrighted nonamendable standards, violates states’ rights and consent of the governed. QUESTION 5: Would LaMar’s bill move us away from these chokehold national standards and restore individual agency? Fact 6. Both Republican and Democratic politicians are hacking at the limbs of the Constitution openly, aiming to phase out the authority of the states and of parents regarding educational authority, privacy and other issues. Aiming to “phase out the authority of states” is blatantly unconstitutional. QUESTION 6: Would LaMar’s bill stop the Department of Education’s agenda to “phase out state authority”? I knew from page one that this was going to be a big, fat two-tongued document because the bill’s purpose statement: “to restore freedom” conflicts with its own title: “The Every Child Ready for College or Career Act of 2015“. This bill by its title and throughout its text cements the Common Core Initiative into federal law without once using the term “Common Core”. How? Did you know that the phrase College and Career Ready has been repeatedly, federally and corporationally defined in multiple places as only Common Core. (See College and Career Ready definition: the Dept. of Education defines college and career ready standards as “standards common to a significant number of states.” There is one thing that meets that definition. Anytime you see “college and career ready,” run; it equals only the Common Core. Can a bill claim to restore freedom while it promotes the exact, synonymous term that takes freedom in education away? The bill explains how money must be allocated to ensure that the achievement gap-closing happens. The Harrison Bergeron-ian “fairness” will be enforced with (our) tax dollars in federally set ways. On page 8 we learn: States will have to create a peer review board with the purpose of promoting “effective implementation of the challenging State academic standards“. A mandated review board will promote implementation of Common Core, the very thing so many hope to eradicate. Note the slickness: later on the same page, it says: “with the goal of supporting State- and local-led innovation”. It’s pleasant sounding, but it’s a lie; one can’t support local innovation while implementing centrally controlled, Common Core standards on a federally mandated review board. I already don’t want to read the rest of the 379 pages. I’m only on page 8. Next is a section called “State Plan Determination, Demonstration and Revision” which makes me wonder: why should states demonstrate to the federal government, when education is not in federal jurisdiction? (Calling for “accountability” without authority to make that call should always raise eyebrows. I’m envisioning Emperor Arne being fed grapes while the Constitution is being used as bird cage liner.) This gets worse when the bill says that the Secretary of Education can decline to approve a State plan (pages 8 and 9) and that the Secretary of Education would withhold funds from states who don’t comply. (page 12) This is clearly out of harmony with the bill’s stated purpose “to restore freedom” as well as being out of harmony with the U.S. Constitution. Page 13: The same standards have to be used throughout the entire state. They have to be aligned with state college standards. (They can’t be lower, but they can’t be any higher, either, than the worst of any state college. They can’t align with any unusually high private university standards.) This control freakishness –and this obvious dumbing down, may succeed in closing that achievement gap but only by harming high achievers, it seems to me. Page 16: In complete contradiction to pages 8 and 9, this section says that the Secretary has no authority to supervise or direct state standards. Page 17: Here we go with the assessments. Every state must use standardized tests aligned to the college-and-career-ready standards (Common). Page 20: Here we go with the data collecting: tests must “produce individual student interpretive, descriptive, and diagnostic reports… include information regarding achievement on assessments… provided… in an understandable and uniform format” [meaning, I am sure: Common Educational Data Standards and SIF interoperability formats, which preclude strong privacy protection]. On page 34 I’m troubled by this: “achievement gaps between each category of students described“. So they will divide and label student achievement groups by race, by gender, by ability, by economic status, etc. to further identify groups. 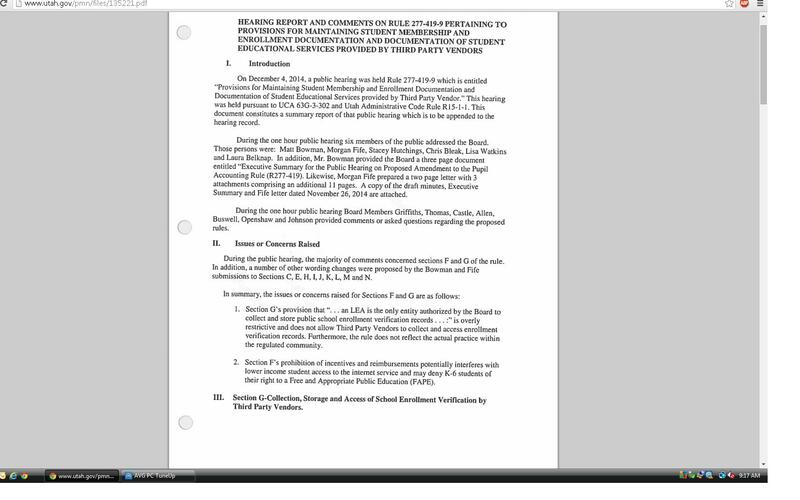 On page 35 the bill identifies schools that must be “turned around”. On page 37 the state assures the federal government that it will participate in the NAEP test for 4th and 8th graders. On page 39 the bill mandates uniform state report cards. On page 54 the “Local Educational Agency Plan” mandates identifying students and identifying achievement gaps. The plan also funds HeadStart or other government preschools. Page 66 tells states how they have to spend any unused money. Page 89 gives priority to low achievers. Page 92-96 discusses private schools and how Title I funds will follow the low income child. Where funding goes, strings are attached and mandates (i.e., data mining and government tests) follow. Title I funds look like the way Common Core aims to infiltrate charter schools and private schools. Page 99: Grants for Common Tests: The Secretary of Education will give grants to pay for tests and standards, if the states are working in partnership with other states. Page 111: “At risk” students will be indentified, intervened, and reported. 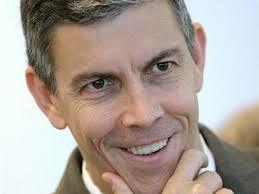 Page 117: If there is failure to reach consensus, the Secretary of Education is empowered to act on his own with the “alternative process” that “if Secretary determines that a negotiated rulemaking process is unnecessary...” he simply tells Congress (not asks, tells) –and then he does his own thing, allowing for public comment afterward, and then, finally, makes it an official regulation. I hope people are reading this. 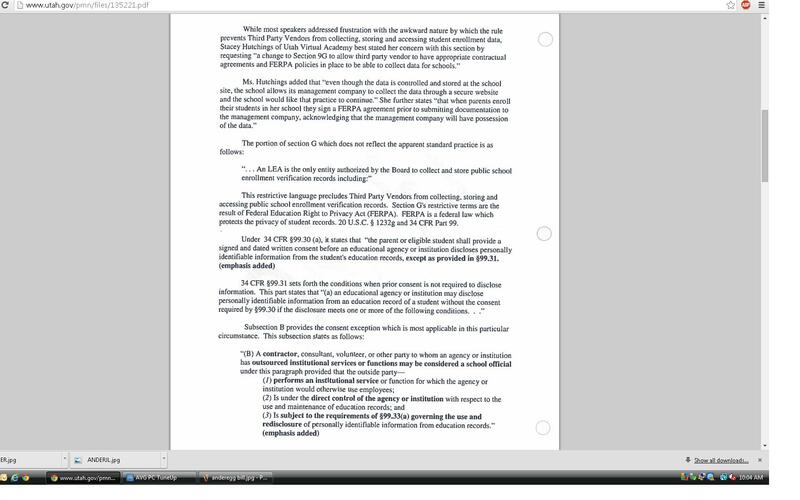 Page 135: Here the states are told the conditions by which they will make subgrants to schools and to teachers. Page 163: Grant recipients must provide data to the federal Secretary of Education. Page 226: On Charter Schools: “support the opening of… replication of… charter schools… expansion of high quality charter schools”. Page 229: “A description of how the State will actively monitor and hold authorized public chartering agencies accountable… including… revoking the authority of an authorized chartering agency based on the performance of the charter school… in areas of student achievement… and compliance”. Page 249: The Secretary of Education can take money out of the charter school’s reserve account if the grant wasn’t used in “carrying out the purposes” of the Secretary. Page 268 talks about using magnet schools to desegregate “students of different racial backgrounds”. I don’t agree with redistribution by government force of anything– not money, not teachers, not not principals, not standards, and not students of different races. But the Department of education does. Page 276 “State Innovation and Flexibility“: think about the way that title rations liberty. What would the founding fathers say about the federal government creating a document with a section heading titled like that? States are allowed to have some innovation? Some flexibility? Those are sub-particles of a rationed freedom, not freedom at all. Page 297: “Indian, Native Hawaiian, Alaska Native Education” – This part has me confused. Someone please comment below if you understand it. Why would the federal government spend pages and pages and pages outlining different rules for these specific minority groups? Not just a few— a LOT of pages. Page 369: “Participation by private school children and teachers” – By definition, private school children and their teachers are to be left completely alone by the government; that’s what private means. Why is this federal law taking the effort and time to mention them? If, according to page 92, the Title One funds follow the private school child to his/her school, then the government will be taking reports, data mining, and putting out mandates as well. The answer to each of my six questions, from the top, is “no”. The stated purpose of the bill is “to restore freedom”. Does this happen? No. Please do something positive: tell your senators and reps to help push an actual freedom-granting bill in education. I learned with gratitude today from Utah’s Mia Love that she is working with Rep. Joe Wilson on a bill “to allow states to opt out of Common Core without being penalized.” Support Mia Love. Write to her. Rep. Wilson, too. Please call other Congressmen and ask them to work with her and support her. 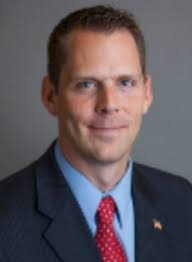 David Vitters’ bill, too, sounds a thousand times more honest than Alexander’s ESEA “Every Child College and Career Ready Act of 2015″. —But LaMar Alexander’s ESEA? No. End of Christel’s Article. Here’s an action item someone posted to Facebook. Let them know you don’t want any bill re-authorizing ESEA at all. We want ESEA sunsetted after extensive national public discussion of how to educate low-income children without damaging them further and all of public education K-20 at the same time. Request repeal of ESEA/NCLB….it cannot be fixed. Sen. Roberts’ bill won’t do a thing to get at ESEA. The problems are in the re-authorization of ESEA. Very cleverly hidden. Sharing my letter, send out today. I am gravely concerned about the “emergency vote” that was taken by the board last month, which decreased the amount of student data privacy protections that were previously in place, in order to cater to corporate education vendors, and in order to align with unlawful federal regulatory changes to federal FERPA– which harmed parental rights and student privacy, giving third party vendors unwarranted trust and access to student data. Where were the student advocates and parent testifiers, when the corporate testifiers had their day to speak and to influence this board? I request that the “emergency vote” be immediately dismissed as unethical and unlawful, because it aligns exactly with the unethical and unlawful alterations that the Dept. of Education has made to family privacy rights without Congressional approval. I request that a deep and probing study be taken on this weighty issue prior to a vote. Allowing vendors this easy data-access aligns with the abuses of the Department of Education, and are not in harmony with vital principles of individual rights, family rights, and freedom from essentially handing oversight of education and student records to unelected vendors. Why I wrote the letter? I compared the student privacy protection bill that Utah Representative Jake Anderegg is running right now, with the summary of a recent public hearing –in which corporate education vendors pushed for decreased student privacy and for increased student data sharing. I realized that the fight is truly going on right now in Utah. Most people don’t know the fight is on; it doesn’t make news headlines, though it should. So few people speaking up. And the board assumes it’s okay with all of us to keep loosening and loosening student data protections. Should students and families maintain individual rights over student data privacy or not? Have we as an informed electorate, as neighbors, and families and friends, discussed what happens when students and families do –or do not– have data privacy protection? These are weighty matters with long term consequences. The board’s having had a seemingly quick and one-sided “hearing” followed by an “emergency vote” seems hasty and even dangerous. Let’s think and talk and debate thoroughly before we automatically align with corporate agendas. Let’s ask ourselves how these alignments and their possible unintended consequences may affect our children in the long term. Both the bill and the summary report are wordy and un-reader-friendly, true. But we can’t know what side to support if we don’t study it out. So here are the links and abbreviated screenshots –of the two sides– to get started. The corporate education vendors call for decreased privacy protections. They say that the former provision that a school/district was to be the only entity authorized to collect and store school records is “overly restrictive and does not allow Third Party Ventors to collect and access records…. the rule does not reflect the actual practice”. Here’s the link to that report (and the first two pages, screenshots). What Data is Collected From Kindergarteners Without Parental Consent? You really must check out the link below and download the 187 page, single spaced, one item per line list of everything the feds are going to collect on kindergarteners and first graders. The list is unbelievably long on things you won’t believe unless you read it. The partial list below just can’t do it justice till you see the document. If a parent wants psychologists, researchers, doctors or businessmen studying his/her child, and the parents gives written consent, I have no problem with that. I do have a very big problem with researchers, businessmen, politicians and others studying children without parental consent or knowledge. That’s 1984-style creepy. That’s government believing it’s bigger and more valid than those who created it. The NCES, also known as the National Center for Educational Statistics, a federal branch, is so hungry for data on kindergarteners (and on everyone else, for that matter, that it worries me. People aren’t aware of what NCES is aiming to do. Nobody’s fighting in a meaningful way to protect children’s and family privacy rights. Federal FERPA laws that were supposed to protect student and family rights were shredded a few years ago. Data is the new oil, the new gold, those who want the data are desperate to get it, and they are getting it. If you click on this link, you will find a pdf with 187 PAGES of data points that NCES plans to collect on our kindergarteners. That’s not 187 points of data, but 187 pages of points of data. Medical data. Home data. Racial data. Academic data. Behavioral data. Data on children’s weight, household marriages, poverty levels, cohabiations, occupations, motivation levels, game playing, number of books in the home— everything. Click on this link and see the PDF for the whole list. So many times, ugly education and data reform sites/pages “disappear” from the internet after people start pointing them out. 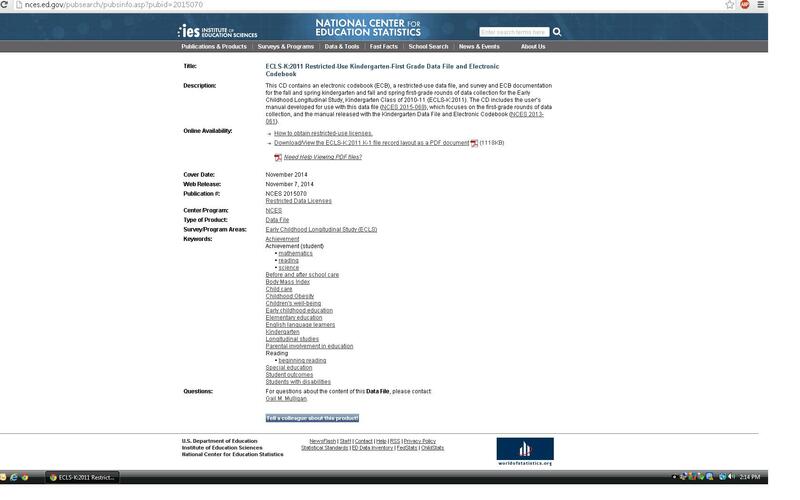 So, in case that happens again, I have also copied and pasted (below) a list of restricted data that is now available from this link: http://nces.ed.gov/pubsearch/licenses.asp –and I’m going to screen shot and paste the link of the Kindergarten and First Grade data file, that led to this list, below. The sad fact seems to be that we, as a group of people, have so much confidence in other human beings that we do not search out for ourselves what is really going on, and we do not demand that our children’s data be protected. We are in a state of blind self-security, trusting our children’s destinies to the hands of data-hungry strangers with reckless confidence. We have to be smarter than this, more protective than this! If you do not know why so much data sharing is a bad idea, please, for starters, read the book 1984. It’s free. If you want to study more about what is now actually being collected via schools’ State Longitudinal Database Systems, read the linked posts I’ve written previously here and here. This is the second in a series of posts to be added by members of Utah’s Common Core SAGE test’s parent review board. Parent Molly Hunter spoke out previously and is joined now by fellow mom Christine Ruiz as a SAGE parent review committee member who also wishes to set the record straight and to expose the objectionable aspects of the tests. In 2013 the Utah Legislature mandated parental review of SAGE test questions and established what is now called the SAGE Parent Review Committee. It was a response to concerns that the computer adaptive tests could include biases or agendas that are objectionable to Utah family values. Much has been written about the committee and unfortunately some of it has been misleading. 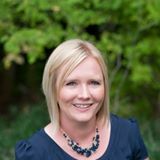 Consequently many Utah parents are misinformed about the review committee and are making decisions with that ‘bad information’; decisions that affect their children. I am one of those committee members and I’d like to correct the record. The statute, 53A-1-603, is vague as it relates to our duties; “…a committee consisting of 15 parents of Utah public education students to review all computer adaptive test questions.” Yep, that’s it. Talk about your nutshell. So, here’s what we did and didn’t do. WE DID review all questions (about 1500 each). WE DID flag questions for a variety of reasons (grammar, typos, content, wrong answers, glitches, etc.). WE DID sign nondisclosure statements (agreeing not to discuss specific test questions and materials). WE DID NOT ‘approve’ the test. We were neither tasked to nor qualified to approve the test in any aspect. It has been erroneously suggested that “…we all feel comfortable with the test” in an article by the Deseret News (Nov 2013). That’s a misleading quote from only one member of the committee. That statement was actually contradicted by another member later in the same article. But it’s no surprise here; we expect that from the media. However, the Utah State Office of Education (USOE) perpetuated that myth when it plastered that same quote all over its SAGE informational brochures. We/ I expect more due diligence from USOE. I never received a phone call to verify that I concurred and I suspect the same is true for the rest of the committee. It was either an act of deliberate deceit or jaw-dropping negligence to tell parents across the state that the Parent Review Committee gives its blanket approval of the test. Neither option comforts me in the slightest. I shudder to think that some parents may have decided to let their children take the SAGE because ‘we’ said it’s okay. That’s on me and every other committee member that feels the same as I, and didn’t speak out sooner. This myth and any others perpetrated in the future will no longer go unanswered by this committee member. That’s a promise. public education students to review all computer adaptive test questions. (iii) five members appointed by the president of the Senate. (c) The State Board of Education shall provide staff support to the parent committee. (d) The term of office of each member appointed in Subsection (8)(b) is four years. (f) No member may receive compensation or benefits for the member’s service on the committee. According to Utah law, a 15-member parent committee must be assembled to review the test questions on the Common Core SAGE test prior to the test being administered statewide. Members of the committee now report that, contrary to what was reported by the Utah State Office of Education and the media, there was no consensus of approval on SAGE by the parent committee. Several members want to set the record straight. 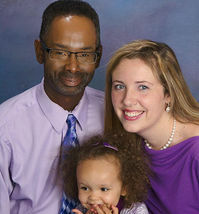 Here is the first of what will be a series of parental testimonies that all was not well with SAGE tests. This comes from committee member Molly Foster, with her permission. … In the spring when I was made aware of the USOE putting words in my mouth I contacted Judy Park several times, through email and phone messages to no avail until I sent a more honest email to her one day, she immediately responded. I will enclose our emailed conversation. …The results of the SAGE test across the state were not surprising for the 5 Supers I spoke to in southern Utah. Judy Park herself told them in training that the students would fail until they got all the curriculum aligned, this could take years, and quite frankly by then they will have another mandatory program they are shoving down each district’s throat, keeping everybody busy testing instead of teaching, and most importantly nurturing human relationships within their own schools and communities… Let’s not forget that the test scores are also tied to school grades, and teacher performance pay. As a teacher, I believe formative and summative assessing is best done at district level. An antiquated idea, I know. While our law makers spend their time passing bills with the impression they are providing a little vehicles for educators in their state to produce “college and career ready” students, even “globally” ready for life I have to laugh (in order to not cry). Last I checked, this is America! The rest of the world is trying to come here to work and live. Remember? We have the liberty and freedom to work and educate people as we so desire. Comparing test scores to kids in Scandinavia or Singapore does nothing. Their kids in the end have no choice of whether they will pursue arts, science, technology, this is decided for them before many have even hit puberty! I love that American kids get to choose. Some may really like science through high school but when they begin college they may find a new love for the arts and find a degree in that pursuit. In America you may even decide NOT to go to college (gasp!). Isn’t this the greatest country?! The state is not going to get rid of a 38 million dollar exam anytime in the next few years. The parent committee is nothing but a political move they will continue to use to their advantage as long as ya’ll stay quiet and polite. Best case scenario for me would be to administer it only at the end of the year, just like the old state tests. Cut any ties it has to teacher performance pay, and school grading. If they think this is silly you should tell Judy Park and the rest of the USOE staff and all the legislators to take it themselves three times a year, tell them they will be fired if they don’t score at an appropriate global level. Tell them not to get nervous when they sit down in front of a computer for 2-4 hours a day, for 5 days, 3 times yearly. They might have to start “working to the test” but in the end it will all be worth it, I am sure they will immediately understand why this multi million dollar test is the only way to make them college and career ready. They will see how easy it is to judge their workday hours on a CAT exam, they can grade each employee and determine pay scales on their scores. You were all a great bunch of parents and I urge you to each speak. Share your personal opinions with the parents, teachers and administrators in your communities, that is why you are there! Be honest with the USOE. Best part…..you don’t have to all have the same opinion! But you do have the obligation to the people you represent to be their voice. Teachers and administrators cannot safely voice personal opinion. I have a lot of family members and loved ones working in Utah that need more parents to make a stand for education. Lucky for them there are some real smart, delightful people on the committee that will do just that! Enjoy another round of tests! I am on your 15 member parent committee and you know we agreed there were questions that were inappropriate. It is unfortunate that I have to tell people that the USOE is not a trustworthy entity. I did not intend my participation that week to be a blanket validation for your political purposes. Molly, I am so sorry that you misunderstood my comments. I am regularly receiving concerns that the questions have inappropriate language and are pushing a social agenda. When we held the parent debrief panel the last day of the parent committee review, when asked if the test questions had inappropriate words or pushed a social agenda (I don’t remember exactly how it was worded), all 15 parents responded that the questions did not. There is no doubt that there were many questions that were flagged by the parent committee. I have freely shared the information you received from John Jesse that showed the number of items that were flagged by the parent committee and the resolution of those items. I am also in the process of preparing the items that were dropped from the test due to the input from the parent committee, for public release. I think it will be very helpful for any interested persons to see the actual items that have been eliminated. I have tried in all of my comments about the parent committee (written or verbal) to honor the great work of the committee and appropriately portray the views and opinions that were shared. I will try to be much more specific in the future to hopefully prevent misunderstanding. Have you seen the new regulations that just came out of the White House? 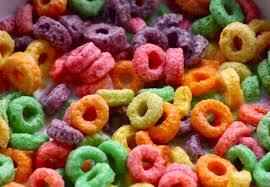 Americans who see these must run screaming to legislators for protection against the Department of Education. “Phasing out the authority of the states” has been precisely the point for every last one of Duncan’s promoted education reforms, from Common Core to Common Data Standards to State Longitudinal Database Systems to P-20 programs to Common Core Assessments to teacher and school evaluations. It’s been the shared vision of non-governmental education reformers as well, from Marc Tucker to Michael Barber to Linda Darling Hammond to the Center for American Progress. Utahns Against Common Core have been pointing out this phase-out of local authority for over two years. Others have been saying it for decades. But fat cats (Salt Lake Chamber of Commerce, School Improvement Network, Prosperity 2020, Education First, Pearson Inc., Microsoft) –each of whom wants to sell fat educational products to the fat, “uniform customer base of Common Core” (as Gates put it) will not listen, and will mock and scorn critics because they want to get fatter and fatter on the taxpayer’s dime. Why does such a supposedly conservative state allow the educational authority of the state to be “phased out” –because of businesses’ greed and lack of care for our children? Where are our children’s educational defenders when we need them? Where is the action behind all the flag-waving speeches that we’ve heard, now, Governor Herbert, Education Advisor Pyfer, Senator Stephenson, Representative Powell? Why doesn’t our Governor, our legislature, our state school board, lift a finger to fight for our Constitutional right to educational self governance? I cannot understand the apathy and the complacency and the tolerance– even at the legislative level– of all reforms aligned to the Common Core. Is it not tragically crazy that we, as a state, willingly allow liberties –guaranteed under the supreme law of the land– to slip so easily out of our lives? We allow ourselves to be lied to by our leaders, who cradle these education reform lies in positive, appealing language, and only for one reason: cash flow. Not for our children, at all. When will Utah, when will America, wake up to this devastation of liberty and education?